The decision to cut the cord can be one of the best things you can do in this day and age because not only does it give you the freedom to watch whatever you want, wherever you want it from, but it also gives you a lot more wiggle room to customize your bundle with the channels you actually want to watch, and DirecTV Now is one great option to do just that. DirecTV Now is a subscription over-the-top service in the United States, which is owned by AT&T. It’s been around since November 2016 and has already amassed some 1.6 million subscribers by the end of 2018. We do have to mention, however, that they lost about 260,000 subscribers when the promotional subscription prices wore off, so they had, at one point, reached a higher number. DirecTV Now gives users the chance to pick a bundle with enough channels to satisfy their needs, add premium channels, as well as language bundles and so on. There’s certainly enough room for everything you need, depending on how deep your pockets go. 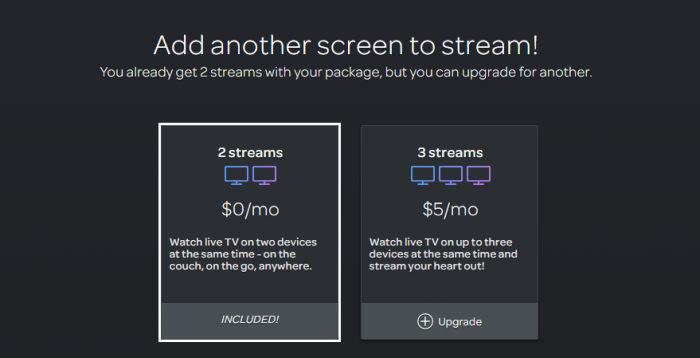 You can stream content on two screens simultaneously, add another one for $5 per month. DirecTV Now is a platform that’s available in the United States, so you live abroad you’re fresh out of luck. If you plan on traveling, though, a VPN could allow you to watch the content you pay for, but you’d have to be careful about which one works with the service since many are easily detectable. 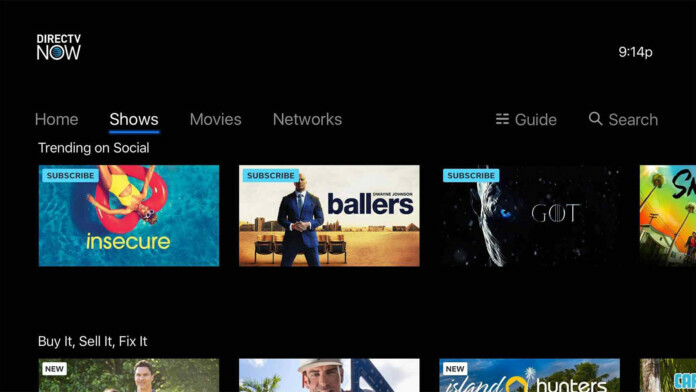 But don’t expect to only see English content among the packages DirecTV Now offers, as there are plenty of channel packages from around the globe. But we’ll get to those later. In the meantime, you need to remember that a tool like ExpressVPN can help you out if you ever leave the United States. Foreigners should know that they need a US-issued credit card if they want to create an account. DirecTV Now offered five bundles to choose from up until mid-March 2019, but they decided to cut down the number of bundles, slim down the channel collections, and hike up the price. In the end, here’s how the two new bundles look. Plus – For $50 per month, you can watch over 40 channels – HBO, HBO Family, HBO Latino, ABC, AccuWeather, Audience, Boomerang, Bravo, Cartoon Network, CBS, CNBC, CNBC World, CNN, CW, Disney Channel, Disney Junior, Disney XD, E!, ESPN, ESPN2, FOX, FOX Business Network, FOX News Channel, FS1, Freeform, FX, FX Movie Channel, FXX, Hallmark Channel, HLN, MSNBC, My Network TV, Nat Geo World, National Geographic Channel, NBC, NBCSN, Ovation, Oxygen, Pop, Revolt, SYFY, TBS, TCM, TNT, TruTV, Universal Kids, Nickelodeon, Nick Jr, MTV, BET, Comedy Central, VH1, and USA Network..
Max – For $70 per month, you can enjoy over 50 channels. The package includes all channels that come with Plus, as well as – Cinemax, BTN, CBS Sports Network, ESPN News, ESPNU, FS2, Golf Channel, Longhorn Network, MSG, MSG+, Olympic Channel, SEC Network, CMT, Paramount Network, TV Land, and Yes Network. 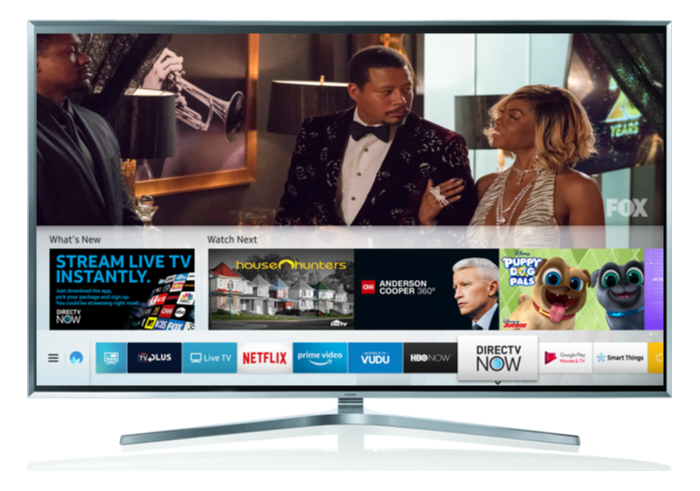 Entertainment – For $93 per month, users can enjoy over 65 channels. This is the new version of the Live a Little bundle, which used to cost $40 per month. The list features: A&E, ABC, AccuWeather, AMC, Animal Planet, Audience, AXS, Baby First, BBC America, BET, Bloomberg TV, Bravo, C-SPAN, C-SPAN2, Cartoon Network, CBS, CMT, CNBC, CNN, Comedy Central, CW, Discovery, Disney Channel, Disney Junior, Disney XD, E!, ESPN, ESPN2, Food Network, Fox, Fox Business Network, Fox News Channel, Fox Sports 1, Freeform, FX, FXX, Galavision, Hallmark Channel, Hallmark Movies & Mysteries, HGTV, History, HLN, Investigation Discovery, Lifetime, Motor Trend, MSNBC, MTV, MTV2, National Geographic Channel, NBC, NBCSN, Nick. Jr., Nickelodeon, One American News, Ovation, Paramount Network, REELZ, RFD-TV, SYFY, TBS, TCM, TeenNick, Telemundo, TLC, TNT, TruTV, TV Land, Univision, USA Network, Viceland, VH1, and WE TV. Choice – For $110 per month, you can watch over 85 channels. This bundle is the new version of Just Right, which was $55 per month. The bundle includes all channels in the Entertainment bundle (minus Ovation and Hallmark Movies & Mysteries), plus – A Wealth of Information, BTN, Cheddar, CNBC World, Comedy TV, Cooking Channel, ESPNews, ESPNU, Fuse, Fusion, GSN, IFC, Justice Central, MLB Network, NFL Network, Nicktoons, OWN, Pop, Science, SEC Network, Sundance TV, Tennis Channel, Travel Channel, TV One, UniMas, Up, and The Weather Channel. 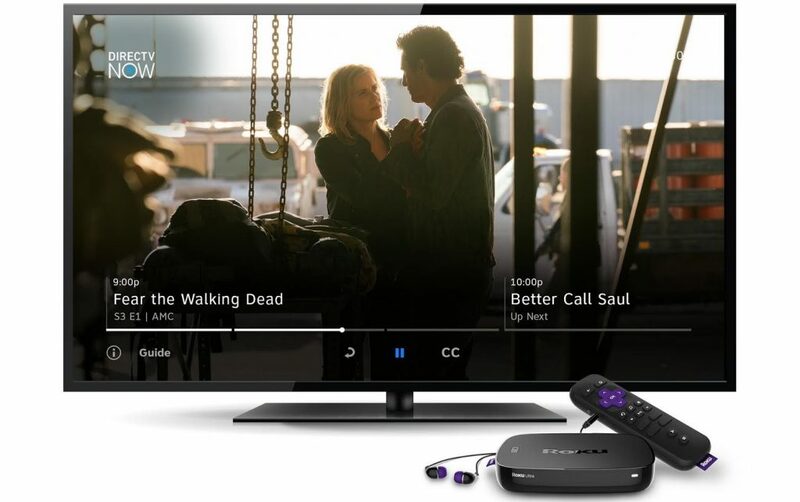 Xtra – For $124 per month, users can watch over 105 channels. This bundle is the new version of Go Big, which was $65 per month. The list of channels include all channels from Choice, as well as American Heroes, Aspire, BBC World News, BET Her, CBS Sports Network, Destination America, Discovery Family Channel, Discovery Life, DIY Network, FM, Fox Sports 2, FX Movie Channel, fyi, Golf Channel, LMN, Logo, MTV Classic, Nat Geo WILD, NBA TV, NHL Network, Olympic Channel, Ovation, Oxygen, Revolt, Sportsman Channel, TVG, Universal Kids, and Universo. Ultimate – For $135 per month, users can get access to over 125 channels. This bundle was formerly named Gotta Have It and cost $75 per month. The bundle includes all channels from Extra, as well as: El Rey, STARZ Encore Action, STARZ Encore Black, STARZ Encore Classic, STARZ Encore East, STARZ Encore Family, STARZ Encore Suspense, STARZ Encore West, STARZ Encore Westerns, and Univision Deportes Network. Optimo Mas – With over 90 channels, this bundle costs $86 per month. Previously, the bundle was named Todo y Mas and cost $45 per month. The bundle includes the following channels: A&E, ABC, AccuWeather, AMC, Animal Planet, Antena 3, Atres Series, Audience, AXS TV, Azteca, Baby First, BabyTV, Bandamax, Boomerang, Bravo, C-SPAN, C-SPAN 2, Canal 22 Internacional, Canal ONCE, Caracol TV, Cartoon Network East, CBS, Centroamerica TV, Cine Estelar, Cine Maxicano, Cine Nostalgia, Cine Sony, Cinelatino, CNN, CNN En Espanol, De Pelicula, De Pelicula Clasico, Discovery, Discovery en Espanol, Discovery Familia, Disney Channel, Disney XD, E!, Ecuador TV, Ecuavisa Internacional, El Rey, Enlace, ESNE, ESPN Deportes, Estrella TV, Food Network, FOROtv, Fox, Fox Deportes, Fox Sports 1, FOXlife, Fusion, FX, FXX, Galavision, GolTV, History, History en Espanol, HITN TV, HLN, Hola TV, IVC Net, Lifetime, MegaTV, Motor Trend, MSNBC, MTV, Multimedios, Nat Geo Mundo, National Geographic Channel, NBC, NBCSN, Nick Jr. Nickelodeon, NTN24, Nuestra Tele, Paramount Network, Pasiones, Peru Magico, SUR Peru, TBS, TeleCentro, Telefe, Telemundo, TNT, Tr3s, TV Chile, TVE, TyC Sports, UniMas, Universo, Univision, Univision Deportes Network, Univision tlnovelas, Up, USA Network, Venevision, VH1, Viceland, VideoRola, ViendoMovies, Vme, WAPA America, The Weather Channel, and ZooMoo. Brazilian – You’ll get to enjoy two live and on-demand channels from Brazil for $30 per month – PFC and TV Globo. Korean – The bundle will get you access to 12 local channels for $30 per month – Arirang TV, CTS, KBS World, MBC, SBS, SBS Plus, EBS, MBN, Tan, National Geographic Korea, YTN, tvN. Regardless of which package you pick, you’ll also get to enjoy some extra local channels you can watch live, but those vary depending on your location. The same goes for Regional Sports Networks. There are also a few ways you can customize the service you’re signing up for. Since HBO now comes integrated into both base bundles, you can only add Cinemax, Showtime, and Starz. Cinemax – You can get the Cinemax pack that includes MAX Go, Cinemax East, and the on-demand library for $11 per month, or included with the Max Bundle. Showtime – For $11 per month you can now get access to Showtime, Showtime on-demand and Showtime Anytime, which allows you to stream original series, movies, documentaries, and a lot more. STARZ – This one also costs $11 per month and you’ll get access to a bunch of channels too – Starz East, Kids & Family, Encore, as well as the on-demand library. DirecTV Now Deportes – Another $5 per month will get you access to the Spanish-language sports package which includes beIN Sports en Espanol, Univision Deportes, FOX Deportes, and ESPN Deportes. These are already included in the Todo y Mas starter pack. 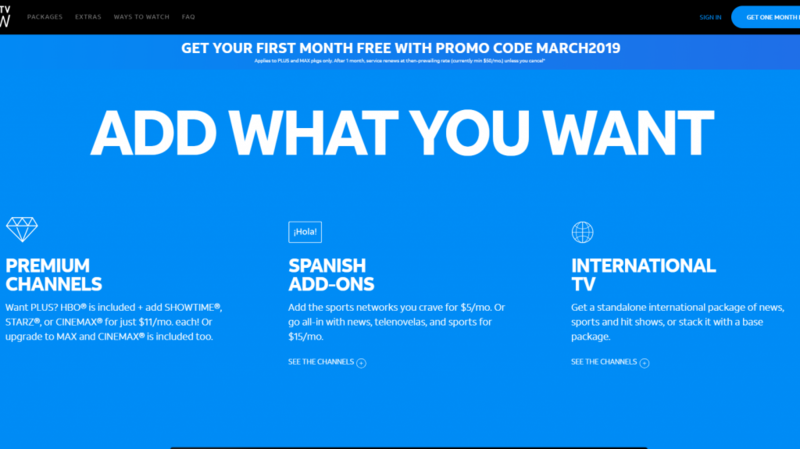 DirecTV Now Espanol – For $15 per month they give you access to even more Spanish content, namely some 50 channels – Antena 3, Atres Series, Azteca, BabyTV, Bandamax, Canal 22 Internacional, Canal Once, CAracol TV, Cetroamerica TV, Cine Estelar, Cine Maxicano, Cine Nostalgia, Cine Sony, Cinelatino, CNN En Espanol, De Pelicula, De Pelicula Clasico, Discovery en Espanol, Discovery Familia, Ecuador TV, Ecuavisa Internacional, Enlace, ESNE, ESPN Deportes, Estrella TV, FOROtv, Fox Deportes, FOXlife, Galavision, GolTV, History En Espanol, HITN TV, Hola TV, iVC Net, MegaTV, Multimedios, Nat Geo Mundo, NTN 24, Nuestra Tele, Pasiones, Peru Magico, SUR Peru, TeleCentro, Telefe, Telemundo, Tr3s, TV Chile, TVE, TyC Sports, UniMas, Universo, Univision, Univision Deportes Network, Univision tlnovelas, Venevision, VideoRola, ViendoMovies, Vme, WAPA America, and ZooMoo. We should probably start out by mentioning that regardless of which of the channel above packs you’re going to pick, you’re getting 20 hours of cloud DVR for free. Dubbed the True Cloud DVR, the feature enables you to quickly skip through commercials, stream wherever you are, and keep your footage for up to 30 days. The 20 hours of space, however, doesn’t seem to be enough. With subscribers of other similar services complaining about 50 hours, this one has a very low limit. Plus, there’s no option to expand just yet. You can also stream the content on two screens at the same time, but if you’re willing to pay an extra $5 per month, you’ll get to add another simultaneous stream. Most DirecTV Now programming is available in HD, with the mention that this only happens if your Internet connection or bandwidth actually supports HD. That being said, mobile streams are limited to 480p SD, while you can enjoy 720p quality videos while on WiFi. The minimum broadband connection speed for mobile devices required for DirecTV Now varies between 150 Kbps and 2.5 Mbps, while the recommended speeds for HD quality rise to 7.5 Mbps. The main idea behind cutting the cord and getting a service like DirecTV Now is to be able to watch any channel you want, anywhere you go. If you want to enjoy the content when at home, on the big screen, you can do that via Apple TV, Chromecast, Fire TV, Fire TV edition, Fire TV Stick, FireTV Cube, Roku, and Samsung Smart TVs from 2017 and 2018. When on the road, you can watch it all on iPads and iPhones, as well as Android smartphones and tablets. On your computer, you’re going to need to have Chrome 58+ or Safari 10+. What you can’t do, however, is watch DirecTV Now on your PlayStation or Xbox. DirecTV’s interface is pretty straightforward, allowing you to choose which channel you want to watch. What’s even better is that you can create a list of favorites to easily get back to whatever you want to see with ease. You can also create a watchlist by adding shows to it so that you always know when your favorites are coming on. Just make sure to tap on the heart icons next to a title. Much like any such product, DirecTV has advantages and disadvantages. These are pretty subjective, but we hope we can offer you some insight so you can more easily compare it with other OTT services. Nice bundle range – They have a wide range of bundles to choose from now that they brought back the five bundles they cut. Premium channels – HBO and Cinemax are featured in the two main bundles, but you can also add Showtime and Starz. Overpriced – Due to the recent changes, all bundles are now overpriced. 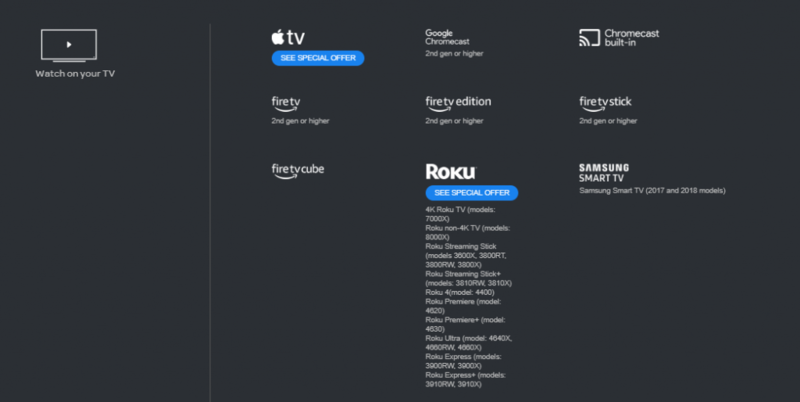 The new bundles – Plus and Max – barely feature any channels and they cost $50 and $70 per month – while the old bundles got rebranded and their prices doubled in the process. 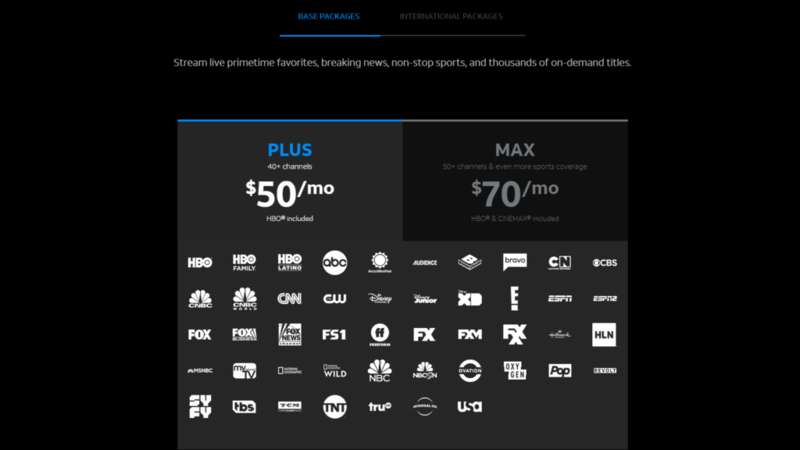 DirecTV Now used to be a great platform, with loads of customization options and good prices. Now, the bundles are overpriced, rivaling cable prices, and those that have more decent prices lack essential channels. It continues to offer a large number of customization options, and if you can get over the price issue, it’s still a good option. Please let us know your thoughts in the comments section below and share the article online so others can find it too. Follow TechNadu on Facebook and Twitter for more guides, reviews, tech news, and interviews. DirecTV Now offers numerous channels, even though they're seriously overpriced, as well as premium channels, and enough customization options to satisfy even the pickiest TV watcher. Next to the price, the DVR feature, however, is one of the biggest downsides.